Conroe is a great suburb outside the bustle of Houston, where homeowners like to kick back, enjoy their homes and their town. Some of the fantastic attractions Conroe residents take advantage of include the Heritage Museum of Montgomery County, Sam Houston National Forest and beautiful Lake Conroe. 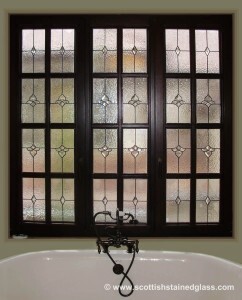 We create beautiful stained glass for the residents of Conroe TX. Our custom designs are crafted to meet the specifications and tastes of each individual client, whether a homeowner, a business owner, or a church or other house of worship. When it comes to custom stained glass, we sit down one on one with each client to discuss styles and ideas, to look at photos and samples, to make sketches until we’ve come up with the perfect designs that will complement the look of the room’s décor, period, and architectural features. Styles we work in include: Art Deco, Antique, Art Nouveau, Celtic, Mission, Prairie, Leaded and Beveled, Frank Lloyd Wright, Greene and Greene, Floral, Mackintosh, and many others. Many of our clients have a style that they prefer, for instance the antique style. This is a great match for a home that has been decorated with antiques and vintage items as well. Other clients want something more contemporary. With our custom process, the choices of style and type of glass are all up to the client. The entryway of a home is a popular place to add stained glass, to the sidelights, the front door, or the transom above the door. This adds privacy and light into the space. The kitchen is also a great choice, and stained glass kitchen cabinet doors can take your kitchen from ordinary to wow without the time and expense of an entire kitchen remodel. The bathroom is also a fantastic place to install custom stained glass designs, which add elegance and much needed privacy to any non-frosted windows or even to a glass shower door or stall. 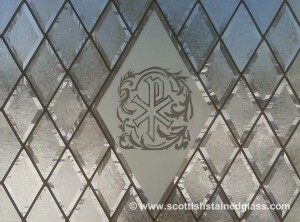 Our commercial stained glass can be built in any size or shape, to fit any commercial space. A skylight, a ceiling, a glass door, a front window, a hanging panel, a backdrop or backsplash behind a bar, a lighting fixture . . . stained glass takes and ordinary office or other commercial space and gives it a touch of the extraordinary. Ambiance and aesthetics are important to many types of businesses, from trendy supper clubs to chic salons. Express a business’s creativity and success with beautiful stained glass. Some churches in the Conroe area have already embraced the longstanding tradition of stained glass, such as Conroe’s Sacred Heart Catholic Church. For others, adding stained glass is something they have been considering. We create custom religious glass art work that is so much more than “just another stained glass window.” Whether a church or chapel is looking for traditional images from the Bible or something more modern and streamlined, we will work with them to create the perfect designs that fit the denomination, the architecture of the church, and its budget as well.